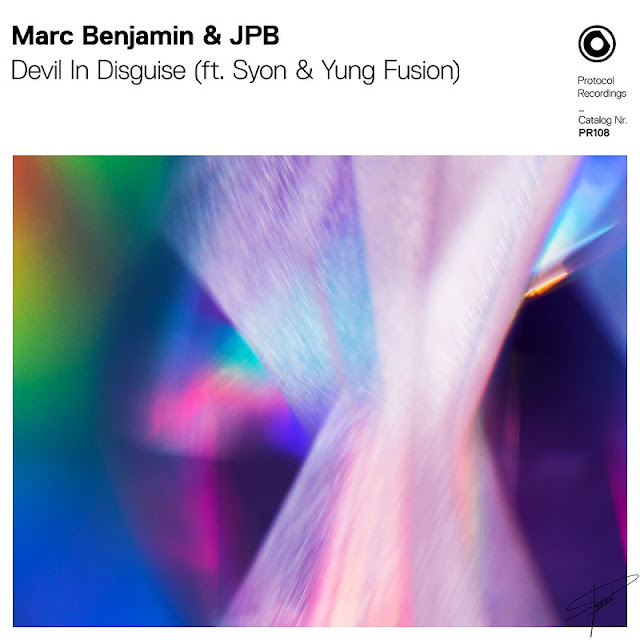 Protocol Recordings has just delved into R&B on Devil in Disguise, the new collaboration by Marc Benjamin and JPB, featuringYung Fusion and Syon. With its unique and captivating blend of experimental electronic melodies and R&B-influenced vocals, Devil in Disguise breaks genres like they're made of porcelain, leaving the listener in awe of the seamless fusion of sounds. Marc Benjamin and JPB's slow-burning basslines and futuristic drops serve as the canvas for Yung Fusion and Syon's effortless rhymes, altogether weaving the story of a lover who wore her angelic façade to hide a more sinister side. Stream it below! Devil in Disguise is a superb fit for Protocol's mission of creating forward-thinking music from emerging artists, and Marc Benjamin, JPB, Yung Fusion and Syon are welcome additions to their admirable roster of talent. These new additions feel right at home with that mantra, bringing a medley of trap, future bass, and R&B to the imprint's already robust mix. Veteran producer Marc Benjamin has a reputable taste for impeccable productions, evidenced in his past successes with his previous collaborations with heavyweights Laidback Luke, Benny Benassi, and Yves V. He's performed around the world, including Ultra Bali and a 5 year residency at Amsterdam's club Escape, and released on Spinnin' Records and Steve Angello's Size Records. German producer JPB and Jamaican native Yung Fusion previously worked together on their hit Feels Right, which amassed 8 million streams on Spotify to date, while newcomer Syon has exhibited incredible talent thus far. We can't wait to see what comes next from these four as part of the Protocol family!